Menina Walker was the miracle in a terrible storm in a South-American country when she was found alone in a fishing vessel with a medal around her neck and an ancient book. She was adopted by American parents and had a nice upbringing. Now, at nineteen, she is going to Madrid to research a medieval artist, but bad weather and a stolen purse eventually leads her to a remote convent. Bored out of her mind, she tries to make sense of the convent’s numerous paintings and starts reading the ancient book which has always been with her. And unveils a remarkable story about the convent and its secret gospel. The same old story, just a new setting. Which means that it is predictable and I was right in all my guesses how it would turn out. Luckily, the setting, with the Spanish Inquisition and the Sisterhood, was to my tastes, otherwise I’d give up pretty soon as the plot and language in the beginning when you get to know Menina are terrible. It is definitely the historical context which saves this book. I have made notes to learn more about the Spanish Inquisition, both in Spain and South-America, about the Spanish settlers in South-America and the Incas. 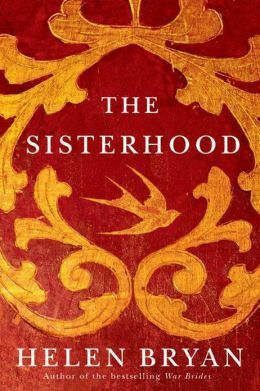 And it irks me that there is no Wikipedia page about the book, or author, yet as I’d like to know whether the convent and the Sisterhood are based on historical facts or entirely made up. If you like the genre, you’ll enjoy it. And I have a feeling that this will be one of the summer’s must reads for many women.